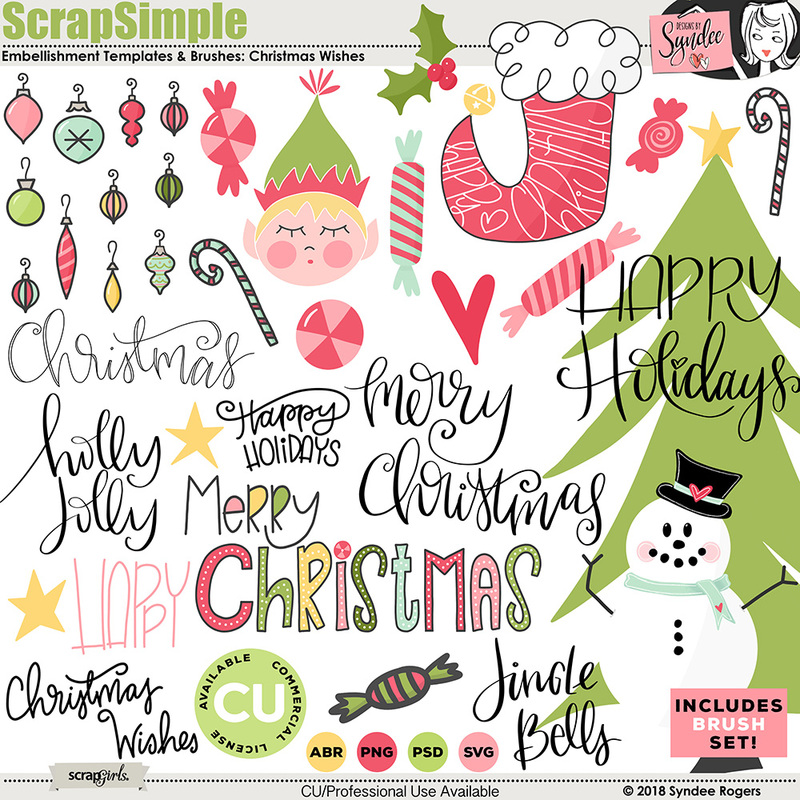 Your sure to have fun with these whimsical Christmas images and hand-lettering sayings! 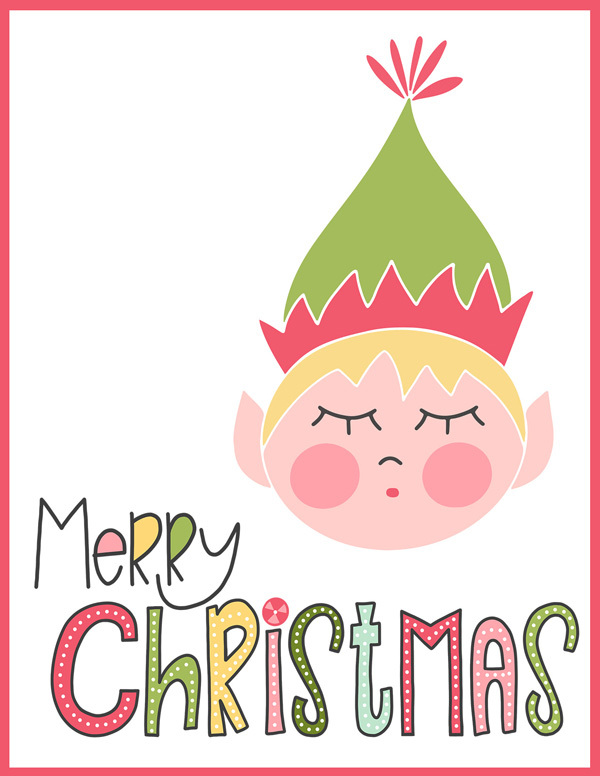 Illustrations include: elf, ornaments, hand-lettered Christmas sayings, Christmas lights, candy canes, peppermints, candy, tree, stars, stocking, heart, holly and more! CU License available! Items must be modified beyond recoloring, some examples are using the papers/styles to create alphas, embellishments and mixing with templates to make unique papers. Create clusters with the embellishments. Files come in PNG format with a transparent background .abr as well as layered PSD files. Recolor easily with a hue/saturation adjustment layer. 300 ppi, PNG files Some Layered PSD files are included. These whimsical Gingerbread Kisses Christmas themed custom Layer styles will bring a smile to your face! 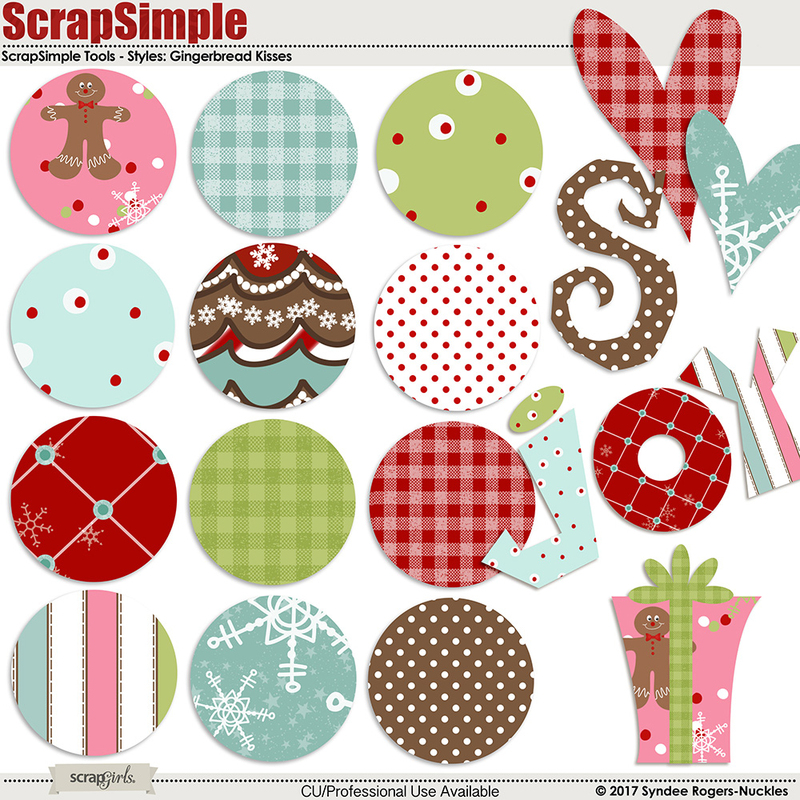 This unique Christmas digital kit will help you create layouts and projects with an artistic flair! 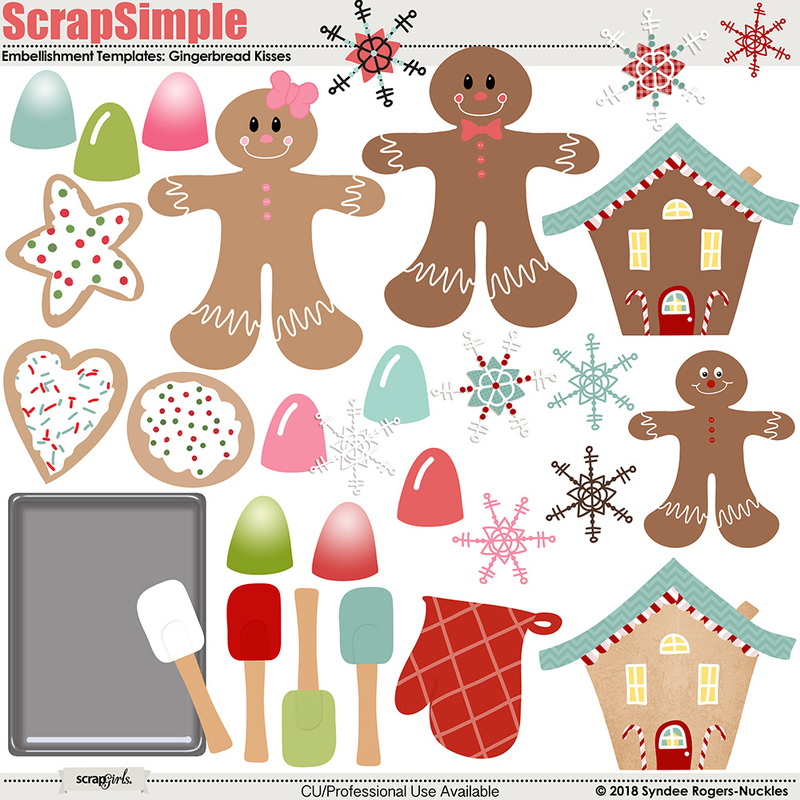 Bring on the cheer with this fun digital scrapbooking kit! Santa and his friends are sure to bring a smile to your face while they adorn your layouts and cards! Take a stroll down memory lane with this vintage Christmas inspired digital scrapbooking kit. Boughs of Holly celebrates traditions and times past with worn and distressed digital scrapbooking papers, embellishments and word art. Dachshund thru the snow in a one dog open sleigh... This whimsical digital scrapbooking kit is sure to bring a smile to your face! Autumn has arrived in style! Create stunning layouts, cards and more with this Fall themed value pack designed to save you money! You will be spellbound with this elegantly spooky digital scrapbooking kit! It's sure to bring a touch of magic to your layouts and projects. Tell the everyday stories of your life with this shabby chic digital kit filled with grunged up papers and realistic embellishments! 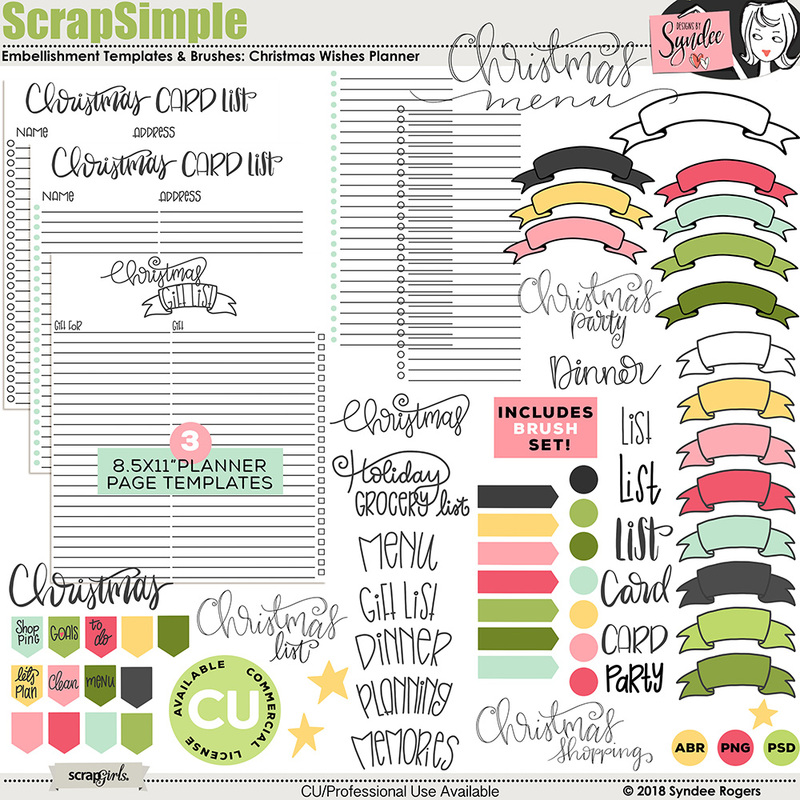 Plan for the Holidays in style with this fun set of Christmas planner images, templats and pages! Planning has never been easier! Plan on the go with your iPad in the popular GoodNotes app! GoodNotes is also available in a desktop version so you can plan on your home computer! This set of Christmas themed stickers are the perfect compliment to your digital planner. I am soooo happy this has finally come! I've been waiting a very long time for it and just in time for our October Lancaster County, PA trip. Yay! Thank you!